Comin on the heels of his runner-up finish in the XL Blizzard Mini Main Event, Roman ‘Romeopro’ Romanovsky put together a dominant February on 888poker to be the top-earning PocketFiver on the site. It took just eight cashes for Romanovsky to rack up $71,621 in winnings. His biggest score came on February 4 when he won the $125,000 Whale for a $34,375 payday. Exactly three weeks later he finished runner-up to ‘OlNKOinkOink‘ in the $100,000 Whale for $20,350. 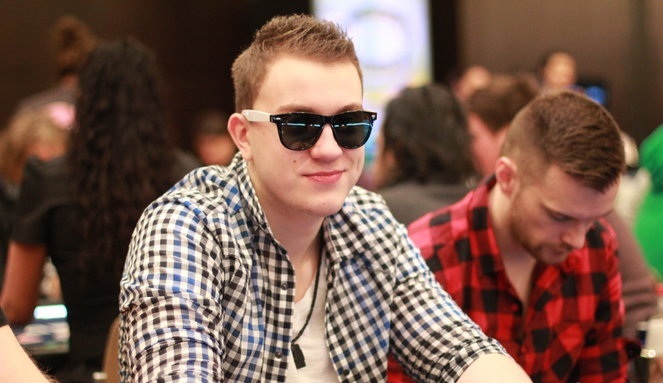 Proving he’s not just about the big buy-in events, Romanovsky also managed to finish runner-up in the $88 buy-in $15,000 Great 8 event on the final day of the month to earn f$2,864. Sweden’s Johannes ‘Greenstone25’ Korsar had the second best month of any PocketFiver on 888poker, but still found himself almost $30,000 behind Romanovsky. His biggest score came when he won the $50,000 Volcano event on February 27 for $15,008. A little over two weeks earlier, Korsar finished fourth in the $120,000 Volcano for $12,100. Canadian Sebastian ‘p0cket00’ Sikorski put up more volume than Romanovsky and Korsar on his way to winning $31,465.30. Of his 10 cashes, six were of the four-figure variety. His single biggest score came from a sixth-place finish in the $120,000 Whale for $6,655. Russian ‘josef_shvejk‘ continued to dominate online, earning $28,740.75 on 888poker. He only picked up five cashes with $15,400 of his winnings coming in the $100,000 Whale on February 24 for his biggest score. Other PocketFivers to have solid months on 888poker included Rodrigo ‘sonmonedas’ Perez, former #1-ranked Chris ‘moorman1’ Moorman, Charlie ‘chaz_man_chaz’ Combes, Alessandro ‘JaNdRo27’ Sarro and ‘machiavelli3‘.